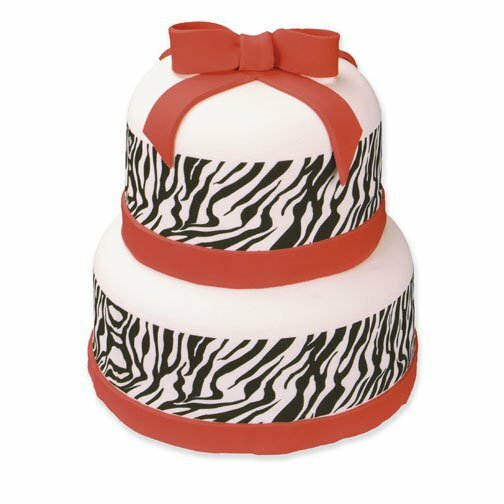 How to make a Zebra Print Cake using Cake Stickers! You can create amazing cakes quickly and easily with Edible Images, also known as Cake Stickers,Photo Cakes, and Sugar Sheets. Edible images are 100% edible, Kosher and FDA approved. It is so simple to create personalized, festive desserts perfect for all your special events. You do not need any decorating experience, nor do you need to be “crafty”. Edible Imaged Cake Stickers do all the decorating for you. Simply place the edible image on your frosted cake and you have a masterpiece in a matter of minutes. Create high-end treats for a fraction of the cost when purchased! You can purchase edible Cake Sticker on-line at FillYourHeartEdibleMemories.com. 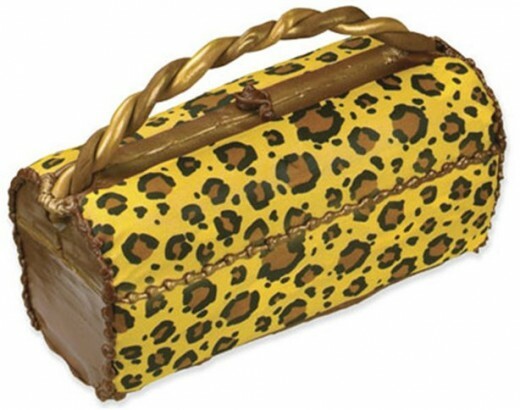 They have the lowest prices as well as allow you to customize your sheet for no extra charge. Fill Your Heart Edible Memories is not just a company selling cake products they are actual cake decorators who use Cake Stickers every day for their customers since 2002. Edible images are FDA and Kosher approved. They are actually frosting pressed ultra thin onto a backing sheet and imaged with edible inks. Cake Stickers work great on frosting, icing, fondant, gum paste, chocolate, and fudge. 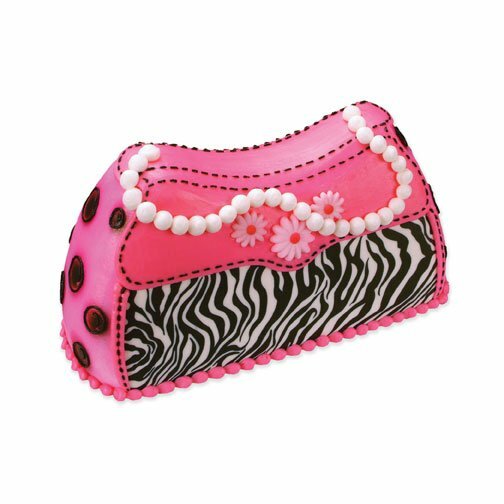 One of the most popular Designer Edible Image prints is the Zebra print. It’s a fun and festive print that is perfect for girls of all ages. So let’s get right to learning how to make this easy designer zebra cake with Cake Stickers. 1. 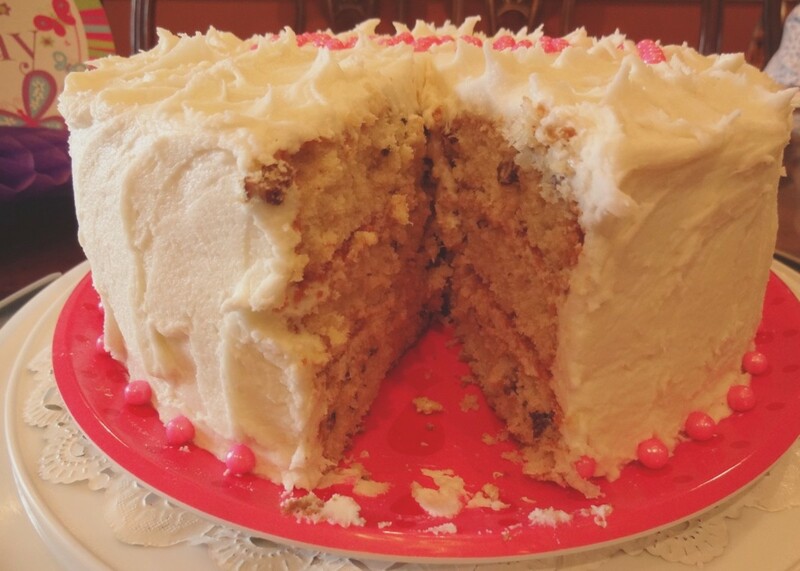 Make a homemade 8" to 9" cake or buy a pre-made cake from your local grocery store. Edible images work best on freshly frosted cakes, so if you prefer to use a pre-made cake you will need to spray a fine mist of water on the frosting before applying the edible image. 3. 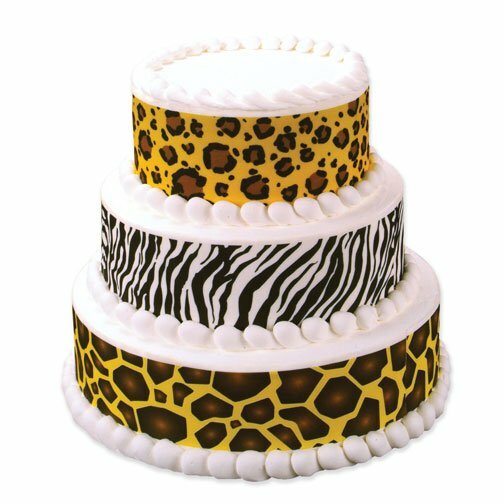 The zebra print edible image we will be using is 2.25” wide x 10” long and is designed to fit the average height of a two layer cake of 3-4". You will need to make sure the height of your cake is at least 2.5”. Cake Sticker sheets can be easily cut to accommodate your cake so if your cake height is less than 2.5” you can simply cut the edible image to fit. To learn more about working with edible images see more complete instruction on using Edible Images. It usually takes three (3) strips to decorate around an 8” to 9" cake depending on your frosting thickness. If the strips are too long you can simply cut off any excess with a razor blade or sharp scissors. 4. Simply remove the first zebra print strip from the backing sheet. The strips pattern matches from end to end. 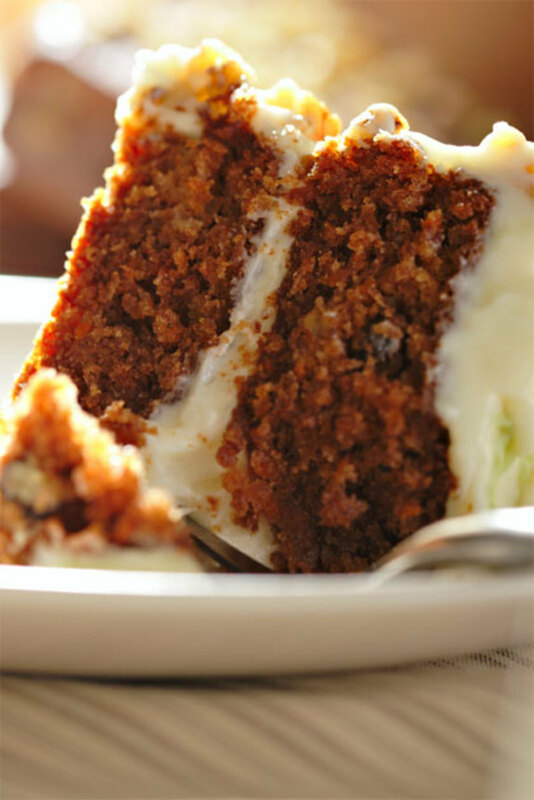 Lay the edible imaged strip on the side of your cake by holding ends and gently applying from the middle first, to the ends. 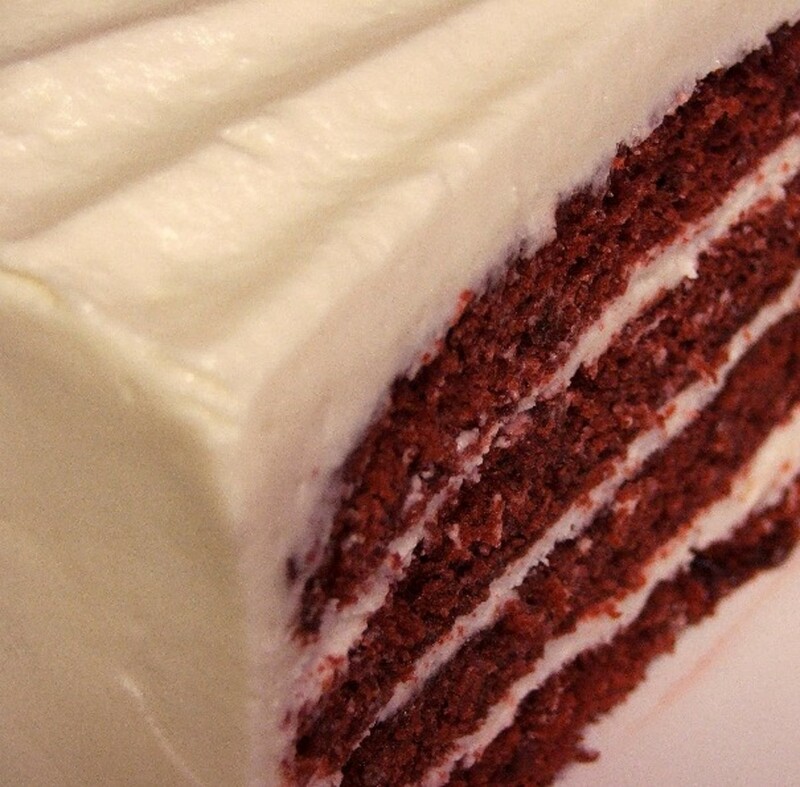 Gently smooth out the edible image making sure the edges are touching frosting. Apply the second and third zebra strips in the same manor while lining up the edge with the previous strip. If the last strip is too long simply cut the strip with sharp scissors or a razor knife while it is on the cake for a perfect fit. 5. You can pipe a frosting border around the top and bottom of the cake for that bakery look. 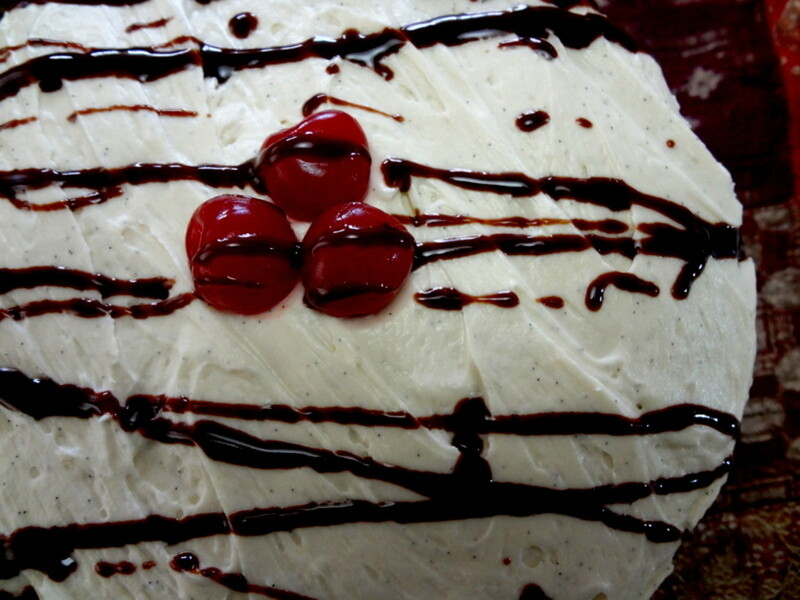 If you are not comfortable using a piping bag, no worries, your cake looks beautiful without borders. Adding festive colored sprinkles and some curly ribbon can really jazz up your cake. That’s it! That was so simple! It’s amazing how beautiful your cake looks and how easy it was to create. Have fun showing off your masterpiece! Can you use it fondant on it? Yes Linda, our 7.5" x 10" edible Cake Sticker looks great on any size sheet cake! Will this work on a sheet cake? Using Cake Stickers is much easier than creating a zebra print from fondant. 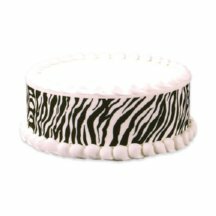 You simply place the zebra print sticker around the sides of your cake, its quick & simple. If you are making a two tier cake and the bottom tier is 8" to 9" you will need 3 strips which is just one cake sticker strip sheet. Here is a link to the measuring guide for more sizing information. 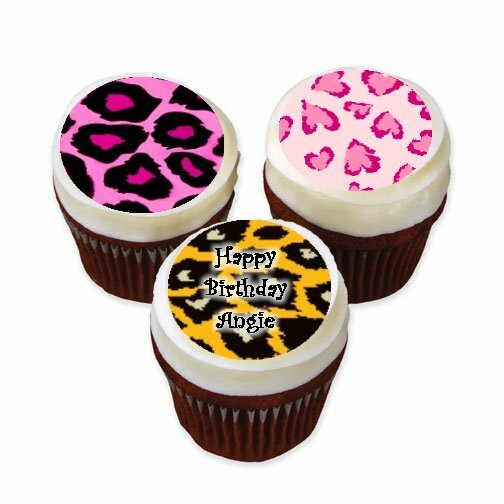 Our Cake Sticker sheet cost just $10.95 a sheet with free shipping so you can create an amazing designer looking cake inexpensively. These designer cakes can cost hundreds when purchased. Our Motto: Make your own and save a lot of money so you can spend it on the present! You can purchase the prints and make your own Zebra Print Cake or you can take the edible image into your local bakery and they can do it for you! We ship the sheet to all states.